B.Nursing, Grad. Dip. Midwifery, Lactation Consultant, Adv. Dip. Rem. Mass. Kyla has a special interest in pregnancy, women’s health, fertility, Traditional Chinese Medicine, Remedial & Pregnancy massage & lactation support. Kyla graduated from the University of Technology, Sydney. She subsequently worked at the Royal Prince Alfred Hospital in Sydney and practices as a midwife. It was during theses years that her interest in complementary medicine & bodywork began. 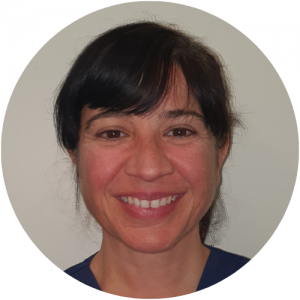 Kyla very much enjoys combining a range of therapies to support women and target the root cause of their problem ranging from Acupuncture, herbs, Remedial & pregnancy massage to restore physical & emotional wellbeing. Kyla still works as a midwife at Canterbury hospital and remains continually up to date with current midwifery knowledge & practices. Bachelor of Health Science in Traditional Chinese Medicine. University of Technology, Sydney. Advanced Diploma in Remedial massage, NSW School of massage. Lactation Consultant, (IBLCE). International Board of Lactation Consultant Educators. Currently completing Master in International Public Health , Sydney University.